Neomai Moala outside Court on July 20, 2018. Photo: Ronald Kumar. A Former Ministry of Foreign Affairs protocol officer was produced in the Suva Magistrates Court yesterday. 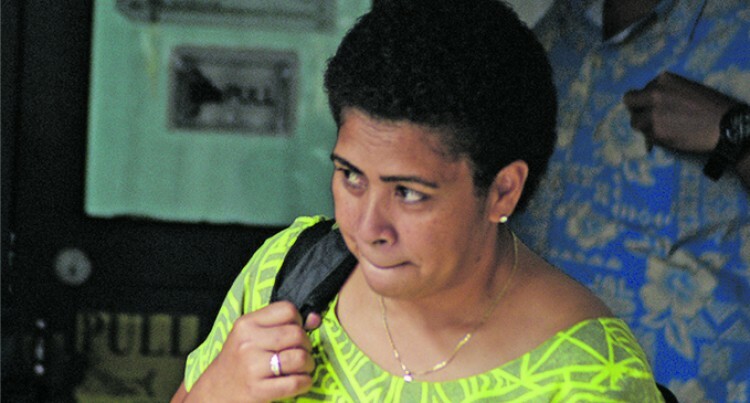 Neomai Moala appeared before Magistrate Asanga Bodaragama charged with one count of abuse of office and three counts of providing a false travel document. For the first count of abuse of office, it is alleged that on April 12, 2018, in Suva, Moala prepared a third party note in abuse of the authority of her office, which was an arbitrary act prejudicial to the rights of the ministry. For the other three counts, it is alleged that between February 1 and March 23, 2018, in Suva, Moala provided false travel documents being an Australian Visa Grant to three people with the intention of directly or indirectly obtaining a benefit. State prosecutor Saif Shah did not object to Moala’s bail. She was granted bail on strict bail conditions with the surety of two sureties and bail bond of $1000. Magistrate Bodaragama told the accused not to interfere with prosecution witnesses. A stop departure order was also placed for the accused. The matter was adjourned to August 16 before Magistrate Bodaragama.